Today, everyone who uses computer based devices is aware of usefulness of a USB. 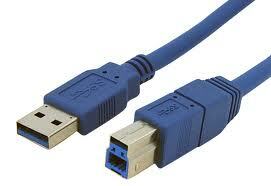 The name of USB comes by shorting full name Universal Serial Bus. We daily use USB ports and USB wires to connect various devices and accessories to computers/laptops. So far, USB 2.0 was latest option available in front of us and it was released in April, 2000. Up to last year, all computer based devices and accessories were USB 2.0 compatible. However, from last year USB 3.0 has entered market and in coming future, USB 3.0 is likely to replace all USB 2.0 based devices because there are many advantages of using USB 3.0 over USB 2.0. 1) USB 3.0 is claimed to be 10 times faster than USB 2.0 as USB 3.0 can transfer data at speed up to 4.8 Gb whereas maximum data transfer speed of USB 2.0 is only 480 mbps only. 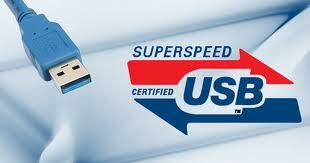 3) USB 3.0 consumes much less energy as compared to USB 2.0 thus increases battery life of your device. USB 3.0 is great discovery for all computer users because it will decrease time spend on data transfer considerably and make external devices faster and less energy consuming. So far, USB 3.0 based devices are slightly more expensive than USB 2.0 based devices and they are available in less numbers. However, with time we can see decrease in prices of USB 3.0 based devices and increase in availability of USB 3.0 based products. Both USB 3.0 and USB 2.0 work on each other; however, you will get maximum speed only if both devices are USB 3.0 compatible.